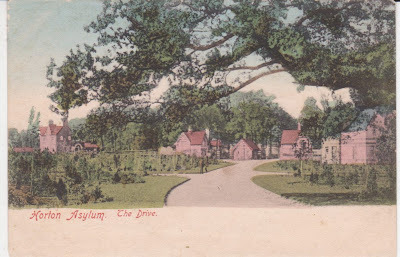 Horton Asylum, Epsom, was built around 1900 and closed a hundred years later. It became a military hospital during the two world wars and the patients transferred to other asylums. I believe that in the days before penicillin the hospital had a unit that specialised in treating general paralysis of the insane - caused by syphilis - by infecting patients with malaria. The idea was that the resulting fever helped kill the disease.